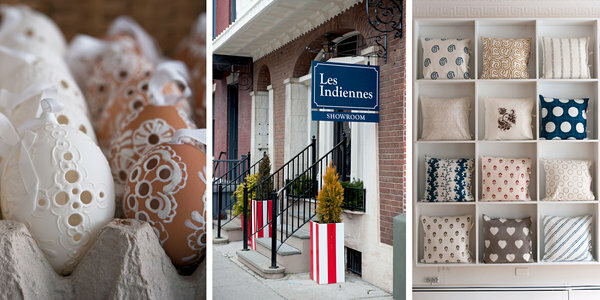 Come visit us at our store in Hudson, NY. We are located a short walk from the train station in Hudson’s historical district. Open Monday-Friday 12 to 5 pm; Saturday-Sunday 11 to 6 pm. All of the bedding, pillows and table linens that you see online are on display along with fabric and wallpaper samples. Many items are only available in the store: one-of-a-kind treasures, clearance room bargains. paper products, samples, fabric remnants, miniature paintings, and we are always adding new things. Special quilt sale going on now.